Mike responds to an introduction by John Lodge in the middle of a Moody Blues concert in Santa Rosa CA. 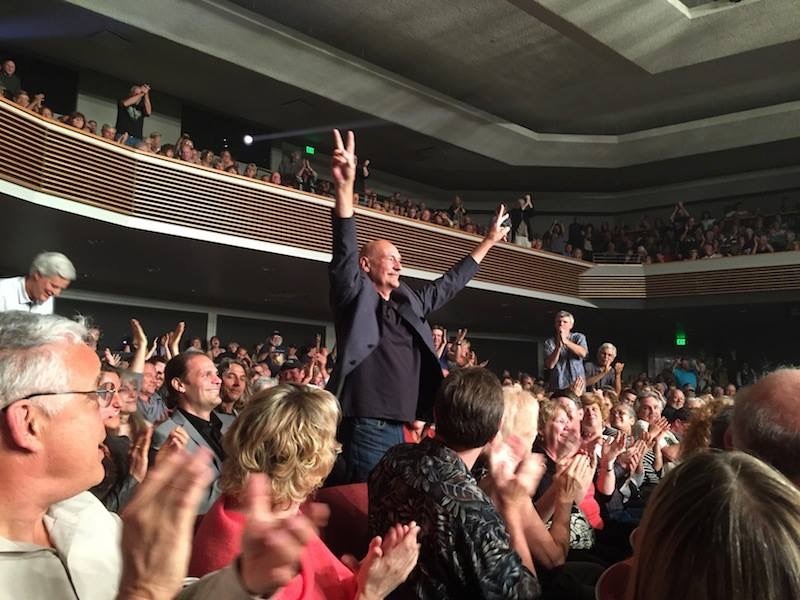 Lodge acknowledges Mike as “King of the Mellotron” to a standing ovation from loyal Moody Blues fans! This entry was posted in Photos, What's New and tagged mellotron, michael Pinder, Mike Pinder, Mike Pinder Mellotronman, Moody Blues, The Moody Blues. Bookmark the permalink. Graeme Edge, Justin Hayward, John Lodge and Mike Pinder are in the building. Now add Ray Thomas and you would hear a real Moody Blues concert once again! Mike- need you back in the game. Seems there is a cruise coming up. Wouldn’t that be something.